This summer the Sigma Alpha Dekes have two brothers working at DKE International Headquarters. Will Adams, president of 2014-2015, is an intern and Charlie Cubberly, treasurer for 2013-2015, is DKE's newest chapter consultant. 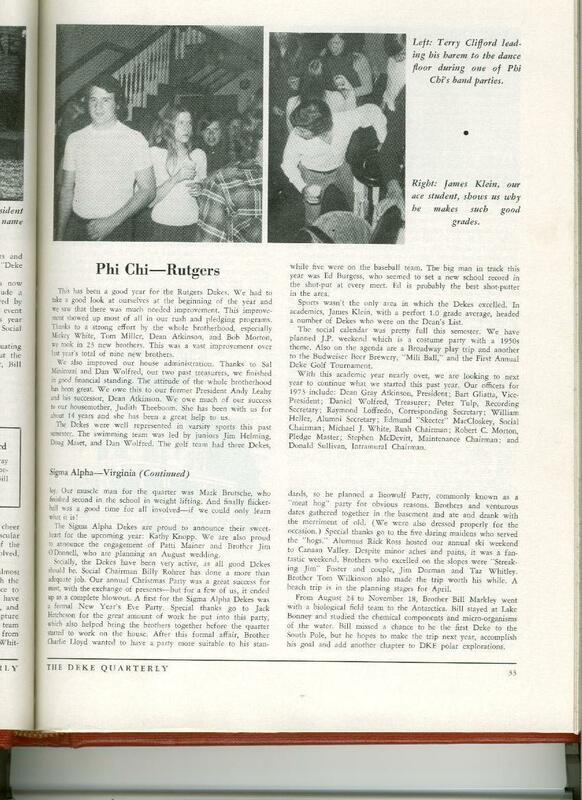 Their access to the archives of DKE history have proved useful in finding gems in the old DKE quarterlies. 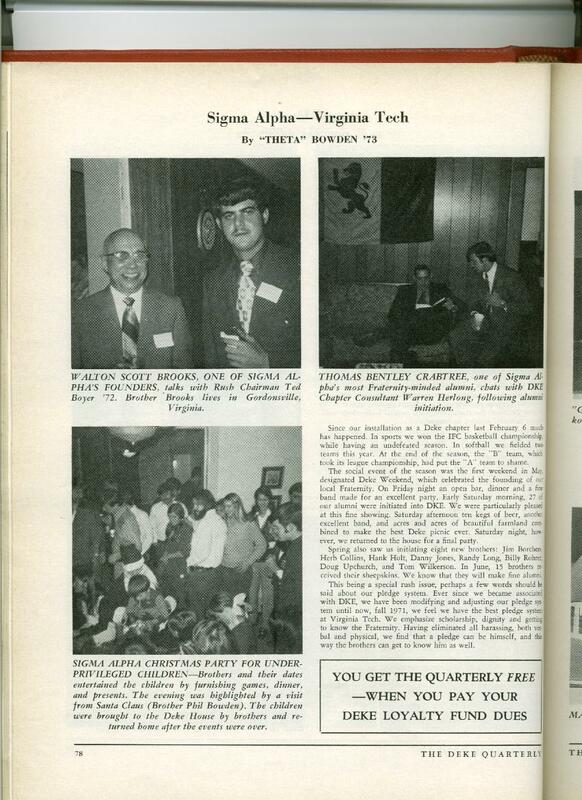 Below is a series of photographs of articles from the DKE quarterlies of yesteryear. See if you recognize any familiar faces. Hopefully there is more to come!